This is a great opportunity to improve your soccer skills during the break. 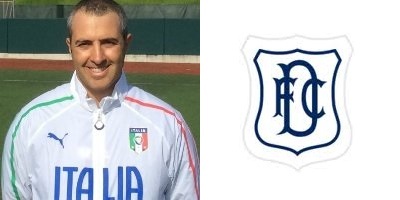 The new Director of Coaching for Dundee Juniors of Central Texas, Matteo Curioni, will run the camp with DJCT staff. Matteo’s coaching philosophy stems from both his 20+ years of experience as a coach, as well as the exposure he’s received visiting and learning from professional clubs across Europe, such as AC Milan, FC Inter, AFC. Ajax, FC Barcelona, Dundee FC, and AC Sparta Prague. This 4-day camp will be a full immersion of technique in tactical situations, with an emphasis on speed, agility and footwork components. We will use the Problem Resolving Methodology, which teaches players to think during the game and apply soccer skills to resolve game situations. An important component of this methodology is to focus on correcting the players’ form to improve their overall soccer speed and agility.